Know where at outfit is from/Want to find an outfit we dont have posted yet? 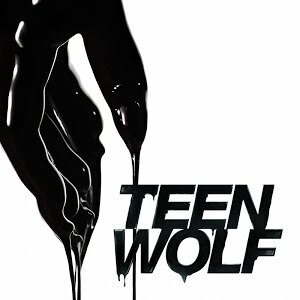 Ask about it in the Teen Wolf Forum. 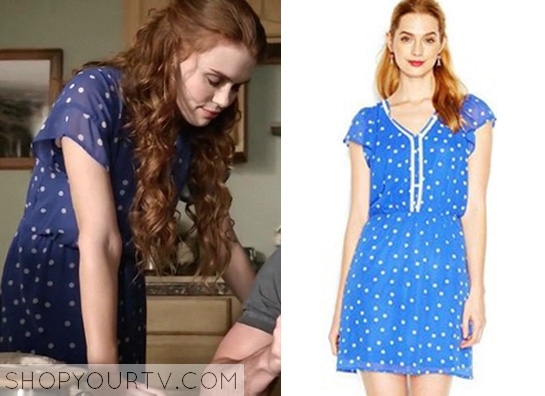 Lydia Martin (Holland Roden) wears this blue dot print lace in this week’s episode of Teen Wolf. It is the Maison Jules Flutter-Sleeve Dot-Print Dress (altered by wardrobe). 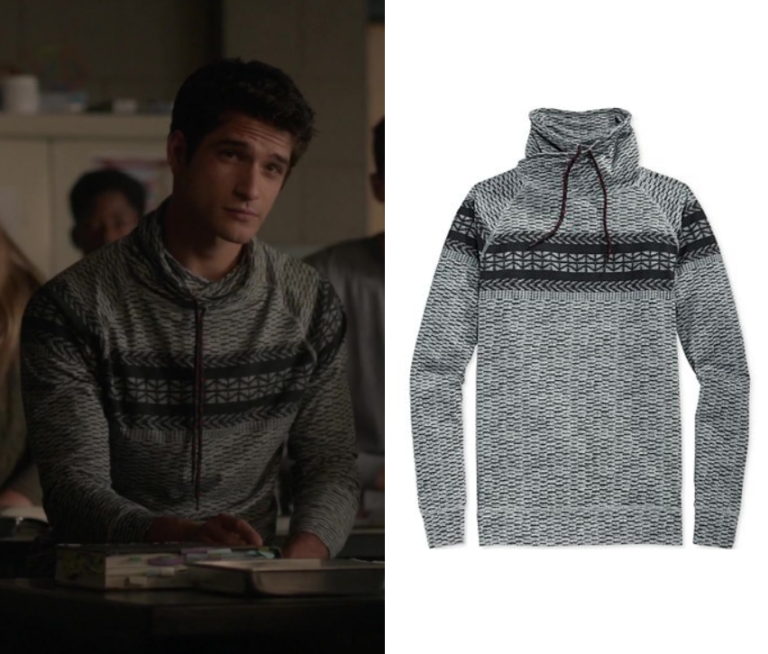 It was previously available HERE, but is now sold out.